Welcome to the brand new Prepary! I am very excited to share the new and improved Prepary website! As you can see, the site has all of the same, great job search content you’re used to but has gotten a major facelift thanks to the very talented Angela from Saffron Avenue. I have been wanting to do a site redesign project for a very long time (pretty much since I started my business) and 2016 felt like the right time to go for it. Having followed Angela’s work for years, she was my first and only choice for the job! The process was really fun and started with me giving sharing some unedited inspiration. 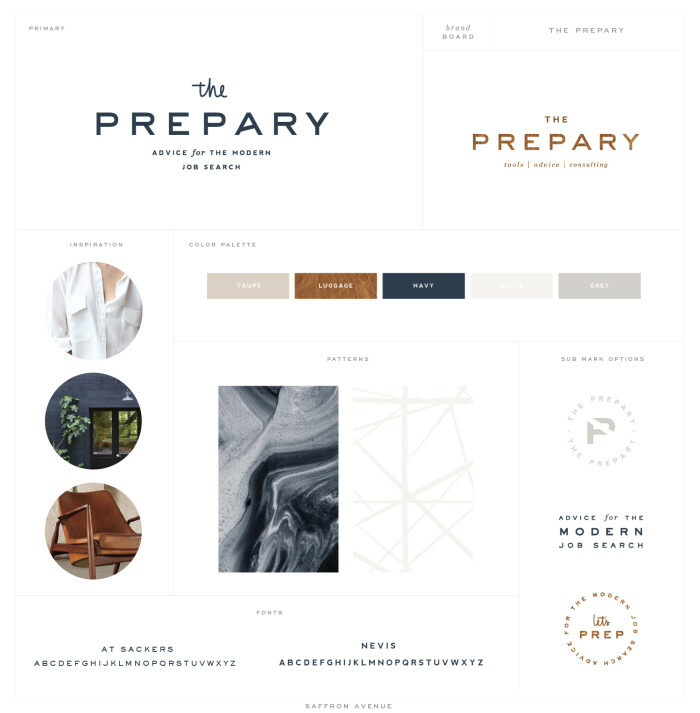 I wanted The Prepary brand to feel buttoned-up and reliable, but also modern and warm. 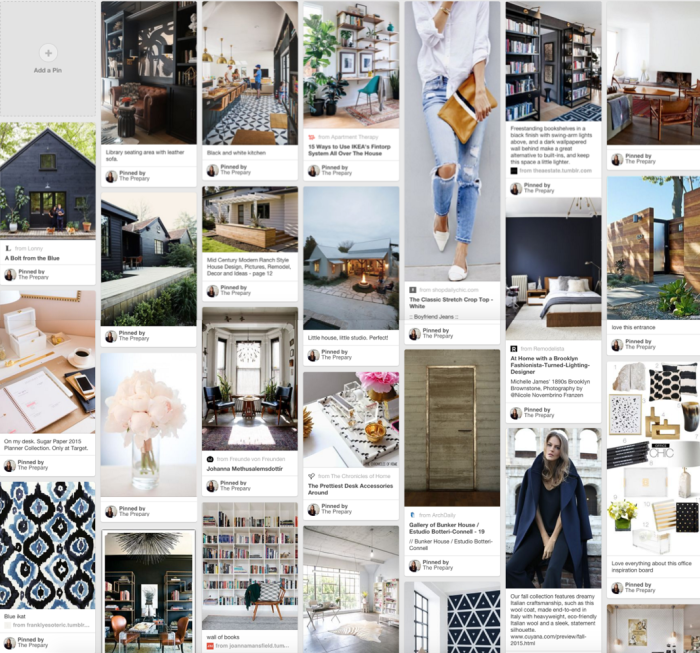 This pin board eventually morphed into the beautiful brand board below with a refreshed logo, and new colors, fonts, and patterns! It really struck me as a perfect representation of the brand. From there, we moved on to discussing the site layout and making sure the different aspects of the business were clearly showcased. I always felt that the site did a good job sharing the blog content, but needed a better home for all of the other stuff I do, like consulting, events, speaking, and more. After lots of back and forth (thank you Angela for your patience! ha) we’re up and running! I absolutely LOVE the way it came out and hope you do too! Consulting Services: In addition to writing advice online, I also work with people one-on-one in their job searches. Check out the services page to learn more about the A to Z program and hourly job search consulting. If you’re curious, you can also learn more about my background, read through the FAQs about job search consulting, and hear from some of my wonderful former clients. Upcoming Events & Webinars: I love hosting workshops and webinars, whether in partnership with local NYC networking groups or on my own. With the new site launch, I’ll be sharing them here and also hosting a free Launch Your Job Search Webinar each month, which you can sign up for from the events page starting today. Advice via the blog: As always, you can browse job search advice on a variety of topics using the drop down menus under job search advice in the top right-hand corner. There’s plenty of good stuff on resumes, networking, interview prep, and much more. Thanks for checking out the updates! If you have any questions about working together or just want to say hello, you can find me here!